A battle of heavyweights will take place on Sunday when the 3-1 Jacksonville Jaguars travel to Arrowhead Stadium to take on the Kansas City Chiefs, 4-0. Kansas City has won the last three matchups between these two teams, most recently in November 2016, but Jacksonville holds the all-time series record, 6-5-0. Both teams are leading their respective divisions. The Jacksonville Jaguars established themselves as one of the best defensive teams in the NFL last season, but now we’re seeing that this is a pretty good offense as the Jaguars crushed the New York Jets, 31-12. 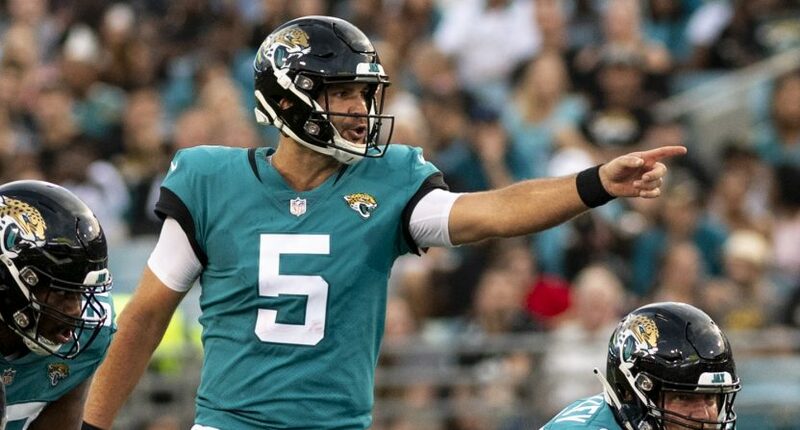 Quarterback Blake Bortles threw for 388 yards and two touchdowns and the defense held New York to 178 total yards of offense and only 22 minutes in time in position. Jacksonville would jump out to a 16-0 lead heading into the end of the first half, thanks to three Josh Lambo field goals and a 31-yard touchdown pass from Bortles to T.J. Yeldon. In the second half, the Jaguars would take the lead when Isaiah Crowell tackled the running back in the end zone for a safety. New York would get a Jason Myers field goal to cut the deficit to 15, but Bortles found Donte Moncrief down the right sideline for a 67-yard touchdown reception to extend the lead to 22. The Jets would get a field goal and a Sam Darnold touchdown pass to make it 25-12, but Jacksonville would get a 1-yard touchdown run from Yeldon what 25 seconds left in the game. That made it 31-12 which would be the final. Jacksonville is 15th in the NFL yards per game at 380.0 and they are 21st in average points per contest at 22.0. The defense is first in the league at 259.2 yards allowed per contest and they are first in points allowed at 14.0. The Kansas City Chiefs remained undefeated with a 27-23 victory over the Denver Broncos. Running back Kareem Hunt rushed for 121 yards and scored the winning touchdown 99 seconds left in the game to give Kansas City the victory. The Chiefs defense recorded four sacks. The team split in the first quarter, but Kansas City would take the lead in the second when Patrick Mahomes kept the ball and raced 8 yards for the touchdown to make it 10-3. Denver would tie the score and eventually take the lead as time expired in the first half on a field goal. That gave them a 13-10 lead. In the second half, Harrison Butker kick to the second field goal of the game to tie the score at 13. Denver would retake the lead on a Phillip Lindsay touchdown run and would get a field goal to extend their lead to 10. However, Mahomes pulled his team within three on a 2-yard touchdown pass to Travis Kelce. With 1:39 left in the game, Hunt went left and scored from four yards out to put the Chiefs on top 27-23. Kansas City is eighth in total offense at 410.2 yards per game, but they are first in total points per contest at 36.2. Kansas City is last in total defense at 451.8 yards per game and they are 25th in points allowed it 28.8. 4-1 ATS in their last five games on the road when facing a team with a winning record. 8-3 ATS in their last 11 games verse teams with a winning record. 1-5 ATS in their last six games in Week 5. 4-0 ATS in their last four games. 7-1 ATS in their last eight games against AFC teams. 1-4 ATS in their last five games following a Monday night game. This is a classic battle of offense versus defense, as Kansas City is a prolific machine scoring wise while Jacksonville knows how to shut down opposing offenses. The Chiefs have won the last three in this series, including the last two on the road. The road team is 4-1 against the spread in the last five meetings. Kansas City is favored by three and that’s a pretty smart bet. Jacksonville is going to have some success moving the ball, but they are unlikely to be able to get much closer than four points in this game. The total is likely to be slightly over in this contest, something like 28-24.